The Michigan dog bite attorneys at Buckfire & Buckfire, P.C. work hard to ensure each and every client is satisfied with the service we provide them. 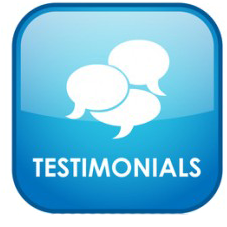 Below you will find what actual clients had to say about their experience with our law firm. Find out why we are the most trusted law firm in Michigan! If you or a loved one has been bitten by a dog or attacked by an animal, it is important to contact a lawyer right away. Call us anytime at (800) 606-1717 to speak with one of our expert dog bite lawyers. We will answer your questions, and if you have a claim, we will begin work on your case immediately. All of this will cost you nothing, so there is nothing to lose! Call us today! "The settlement of my daughter's case far exceeded our expectations. We could not be happier with the representation that we received from Buckfire & Buckfire and Bob Lantzy." "Bob guided me through the process of making my claim. He always kept me informed and was available to take my telephone calls personally or returned my calls promptly." "I trusted him from the very beginning and it paid off. If your child gets bit by a dog, don't feel bad, you have to look out for your kid's best interest and Bob will do just that for you, like it's his own child." I hired Buckfire & Buckfire for a dog bite case involving my daughter. Larry did a great job handling our case and made sure that my daughter was comfortable throughout the process and that I was well-informed along the way. We are happy with the settlement.